As you look through the images from that day you see women from all races standing together to challenge and fight against something that wasn’t right or just. Jump to present day. What in 2017 should we as women be standing together to challenge? I recently watched the videos from the Always campaign #likeagirl. 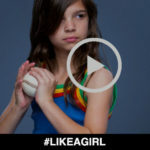 The videos are thought provoking and challenge the perceptions of what “like a girl” means. The saying “like a girl” has come to have a derogatory connotation and this campaign challenges this and confronts the limitations we consciously and sub consciously put on girls. Watch the video and be challenged. Yes, you may kick like a girl, run like a girl and walk like a girl but that is simple because we are girls! It is not something to be ashamed of; it is actually something to be celebrated. This women’s day lets help make #likeagirl mean amazing things. So in whatever you do, aim to fight the perceptions that limited girls and women. When it comes to bras I am intimately acquainted with the struggles women face when trying to find a good bra that makes them feel confident. These limiting perceptions reach so far that many women participating in sports and exercise is not an option because they feel so inhibited and self-conscious of their breasts. For me, a good bra is so much more than just an item of clothing, it gives me the freedom to go out and confidently be who I want to be. I can run (like a girl). I can be active (like a girl). I can feel confident in my meeting (like a girl). I determine what I can or can’t do.